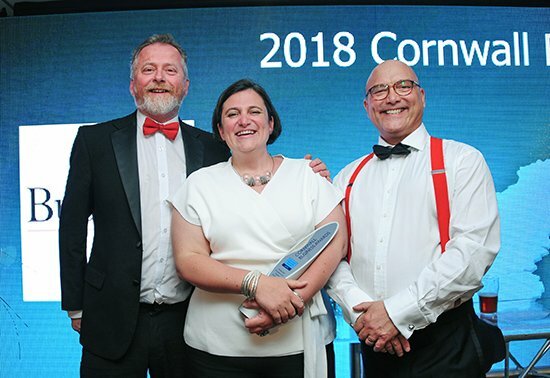 We are excited to announce that after being shortlisted in the Excellence in Digital Marketing category of the Cornwall Business Awards – we have won! This was as a result of our collaboration with Halto on the marketing campaign to support their appearance on BBC’s Dragons Den earlier this year. Halto have been an absolute pleasure to work with while putting together the campaign. We used a wide range of digital marketing with a strong focus on a video that captured the cheeky personalities of Halto founders Lucy and Lerryn. The campaign also involved work on the Halto website, social media, newsletters, PPC advertising as well as appearances on local radio and television. Our relationship with Halto goes back to June 2017, when they first approached us to help put together the marketing campaign to support their appearance on BBC’s Dragons Den that aired in February 2018. If you happened to miss out on all of the hype, the Halto is a discreet neck cushion that can be fastened into any halter neck strap (in particular halter neck bikinis), to prevent the neck ache, red lines and even bruising that can occur from wearing a halter neck. This means that the wearer can forget about the troubles caused by halter neck clothing and instead focus on enjoying themselves. If you missed the broadcast, make sure you check out the clip on Youtube, we definitely think that their pitch is the best. We had an absolute blast at the ceremony that was hosted by Daphne Skinnard (assistant editor at BBC Radio Cornwall). As well as getting to meet guest speaker Gregg Wallace (co-presenter of MasterChef). Click here to head over to the blog section of myhalto.com to read about Lucy and Lerryn’s experience of the Den first hand. We have loved every minute of working with Halto and look forward to seeing their continued success in the future!